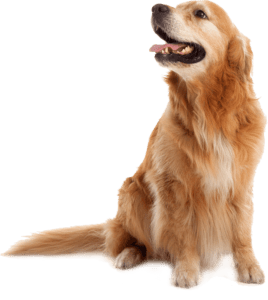 The Australian Shepherd, often known simply as the “Aussie”, is a medium-sized breed of dog that was, despite its name, developed on ranches in the Western United States during the 19th century. There is disagreement regarding the exact history of the breed prior to its arrival in the United States, and thus no official consensus on the origin of its name or association with Australia.They are similar in appearance to the popular English Shepherd and Border Collie breeds, and research has found that Australian Shepherds and Border Collies are closely related to each other; both the Border Collie and Australian Shepherd are slightly more distantly related to other kinds of Collies and to Shetland Sheepdogs. Australian Shepherds rose in popularity with a boom in Western riding after World War II. They became known to the general public through rodeos, horse shows, and Disney movies made for television. 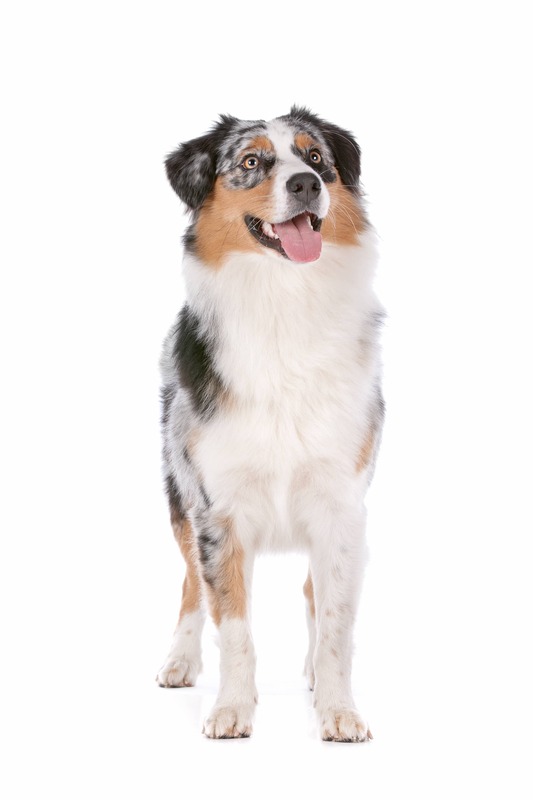 The Australian Shepherd is traditionally a medium-sized breed of solid build. They can weigh from 30 to 65 pounds (14 to 29 kg) and stand from 17 to 26 inches (43 to 66 cm) in height. 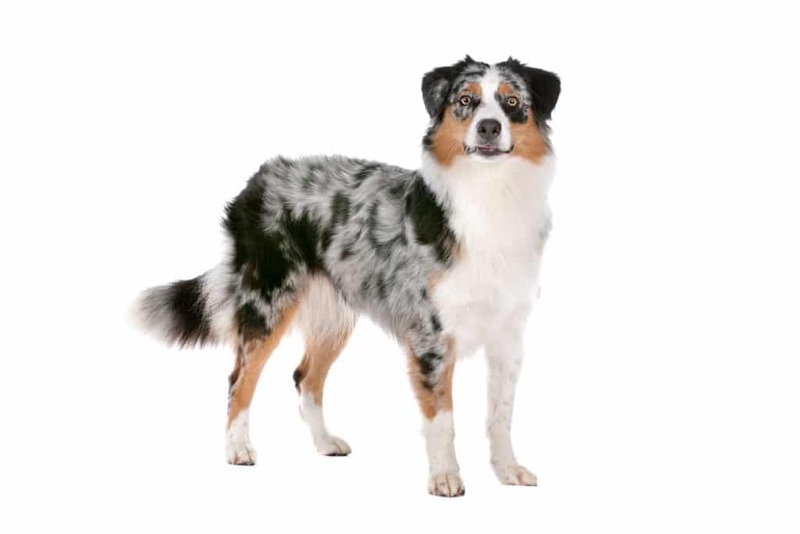 Recognized Aussie colors are solid black, solid red (liver), blue merle, and red/liver merle; each of these colors may also have copper (tan) points or white markings in various combinations on the face, chest, and legs. A black or red dog with copper and white trim is called ‘tricolor’ or ‘tri’, while a black or red dog with white trim but no copper is called ‘bicolor’ or ‘bi’. 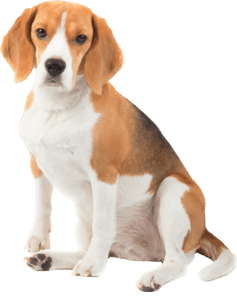 The breed is typically highly energetic, requiring a great deal of exercise and attention. An Australian Shepherd enjoys working, whether it is learning and practicing tricks, competing in dog agility, or engaging in any other physically and mentally involving activity. Australian Shepherds are generally a pretty healthy breed, but they can have several health problems. Vision problems are common, and epilepsy is also a concern. 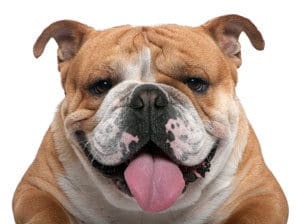 In merle-to-merle breeding, the puppies that have inherited two copies of the merle gene have an increased risk of being born blind or deaf.